If you’re not sure what to do in our great downtown parks, DSA’s latest art installation, PLAY, spells it out for you – literally. 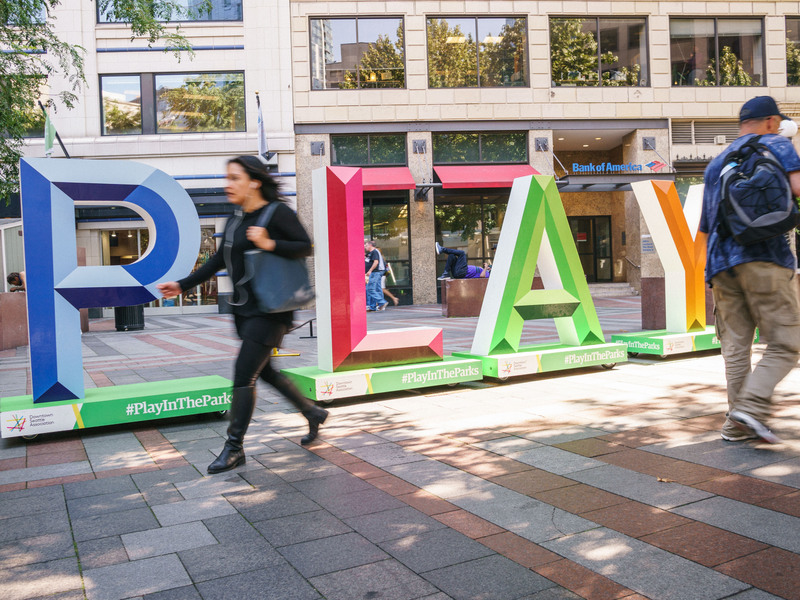 Each letter of the word PLAY stands five feet tall, and together they form a 20-foot-long reminder to take a break from the daily bustle and enjoy yourself. These new PLAY art installations, curated by DSA staff, are constructed from Italian bending poplar wrapped around wooden frames by Rainier Industries. Art on the words depicts a playful Puget Sound landscape with wildlife and colorful, faux-3D letters.